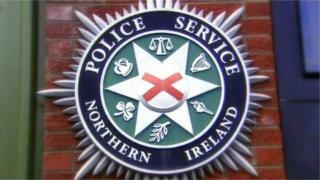 Police are investigating a link between an abduction in east Belfast and an armed robbery in the south of the city. In the first incident, a motorist was confronted by two males, one with a handgun, at Isoline Street in east Belfast on Thursday night. The hijackers forced him into the boot of his white Seat Ibiza car between 10pm and 10.30pm before driving to the Glenside Road area of west Belfast. They tied the driver up before abandoning him. He raised the alarm a short time later when he managed to escape. The second incident happened at 2.30am on Friday when armed masked men accosted two other men when they got out of a taxi at Sandhurst Drive in south Belfast. One of the masked men assaulted one of the males before ordering him to hand over his belongings including a phone. The masked gang made off in a white Seat Ibiza, which was found burnt out in Ardmonagh Parade in west Belfast at around 3.30am on Friday. Police are appealing for information and witnesses following the incidents and have asked for anyone with dashcam footage from any of the areas to come forward.